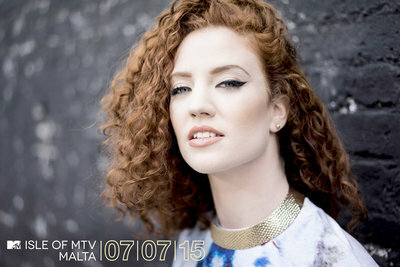 London/ Milan – 19 May 2015: British singer-songwriter and Grammy award winner JESS GLYNNE has been revealed as the second act to take the stage at this year’s epic summer music festival Isle of MTV Malta. Marking its ninth consecutive year, the free live music event will return to Il-Fosos Square on Tuesday 7 July 2015, in partnership with MTV and the Malta Tourism Authority. Jess Glynne has shot to international stardom over the last 18 months after exploding on to the UK Chart’s with a hat trick of number one singles including recent UK number one ‘Hold My Hand’, a dance anthem collaboration with electro-classical group Clean Bandit on ‘Rather Be’ (winner of ‘Best Dance’ at the 2015 Grammy Awards)and a soulful-house feature on Route 94’s ‘My Love’. Thanks to Glynne’s unmatchable vocals, her rapidly acquired portfolio of smash hits continues to excite fans around the world, with 2014 summer smash ‘Rather Be’ attracting 250 million hits on YouTube alone, whilstbecominga top-ten hit on the US Billboard Hot 100. This year’s show will also integrate, MTV Breaks (MTV’s international pro-social campaign offering exclusive opportunities to help aspiring young creative people secure their ‘break’) by giving a lucky young winner the opportunity to join the team in Malta as a social media photographer and a DJ. 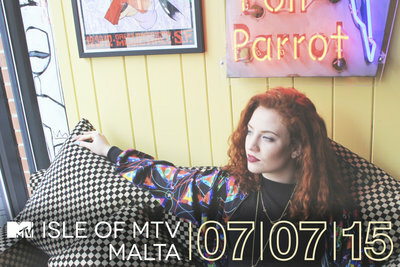 Isle of MTV Malta will be filmed and edited into a 60-minute special that will broadcast across 20 MTV channels throughout Europe. As part of an extensive integrated marketing campaign, the Isle of MTV Malta Special concert will be supported by marketing initiatives, all of which will drive awareness of the event as well as leverage MTV’s world renowned brand and unique youth insight, to further cement and promote Malta’s position as a holiday destination for young people. Over the nine years that Isle of MTV has been held in Malta, the number of visitors to the island under the age of 24 has increased by 120.9% and now account for 19.9% of all tourists. Jess went on to release her debut solo single, the Gorgon City-produced ‘Right Here’ in July 2014. The track charted internationally and reached Number six in the UK Singles Chart. Her sophomore single ‘Hold My Hand’ currently holds the Number one position in the UK. Now in its ninth year, the Isle of MTV franchise has seen past performers such as Nicole Sherzinger, Jessie J, Will.i.am, Rita Ora, Flo Rida, Snoop Dogg, Far East Movement, David Guetta, Kid Rock, Kelis, The Scissor Sisters, Lady Gaga, The Black Eyed Peas, Nelly Furtado, Maroon 5, The Chemical Brothers, Enrique Iglesias, N*E*R*D, Shaggy, Garbage, Jazzy Jeff, Gorillaz, OneRepublic and Morcheeba rock the Isle of MTV stage. About VIMN Advertising & Brand Solutions VIMN Advertising & Brand Solutions is Viacom’s international in-house brand solutions sales business. It represents all the TV, digital and mobile channels of Viacom International Media Networks – including MTV, Nickelodeon, Comedy Central, BET, non-premium Paramount Pictures branded channels, VH1, VIVA, MTVHD, COLORS, and Spike. Viacom brands are seen globally in more than 3.2 billion households in approximately 170 territories and 40 languages via more than 200 locally programmed and operated TV channels and more than 550 digital media and mobile TV properties.